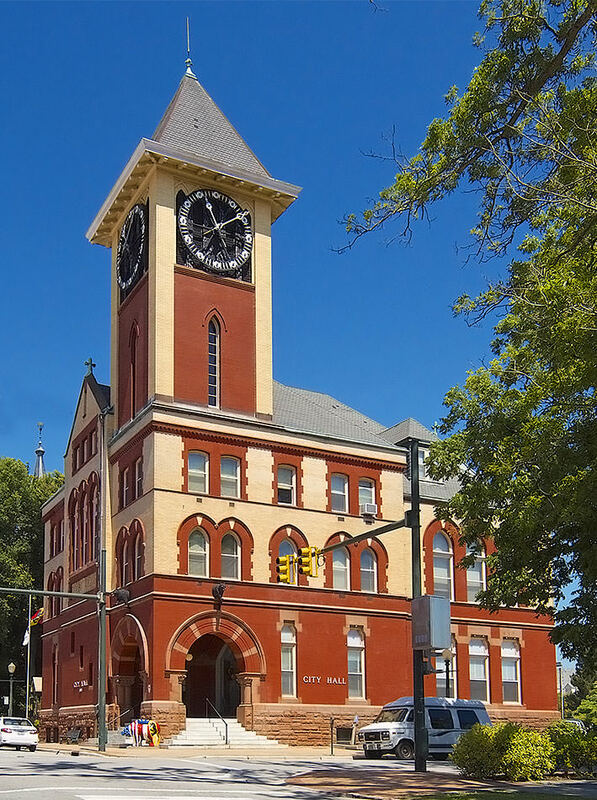 Set along the picturesque Trent and Neuse Rivers, New Bern is a charming, historic riverfront city. Filled with quaint boutiques and eateries, riverfront attractions, historic treasures and more, New Bern offers something for everyone. Easily explore the tradition, culture and the distinct flavor of New Bern on foot or even by boat. The stately Tryon Palace was known as the grandest public building in the American colonies. 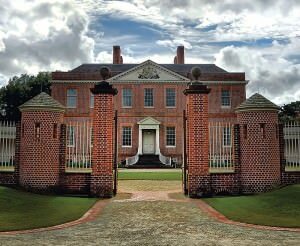 Originally completed in 1770, Tryon Palace was the first permanent capital of North Carolina and home to the Royal Governor William Tryon. In 1798, the original Palace was destroyed by fire. The rebuilt Palace and restored grounds, which reopened in 1959, serves as a testament to history, community, and rebirth. Today it is one of the top attractions in Eastern North Carolina. Right on the waterfront, the new North Carolina History Center is a $65 million addition to the Tryon Palace & Gardens complex. This museum can transport you through time — starting from the formation of the coastline and through the people who shaped the history of the region. The NC History Center will revolutionize the way you see the state’s beginnings and sets a new standard for the museum experience. 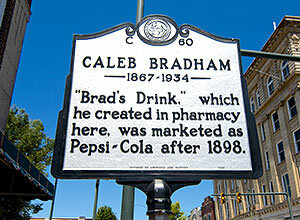 It was in 1893 on the corner of Middle and Pollock Streets in downtown New Bern that Caleb David Bradham invented “Brad’s Drink.” This blend of carbonated water, sugar, pepsin, kola nut extract, vanilla and “rare oils” was later named “Pepsi Cola.” Today you can relax and enjoy a Pepsi at the recreated soda fountain and purchase a souvenir. 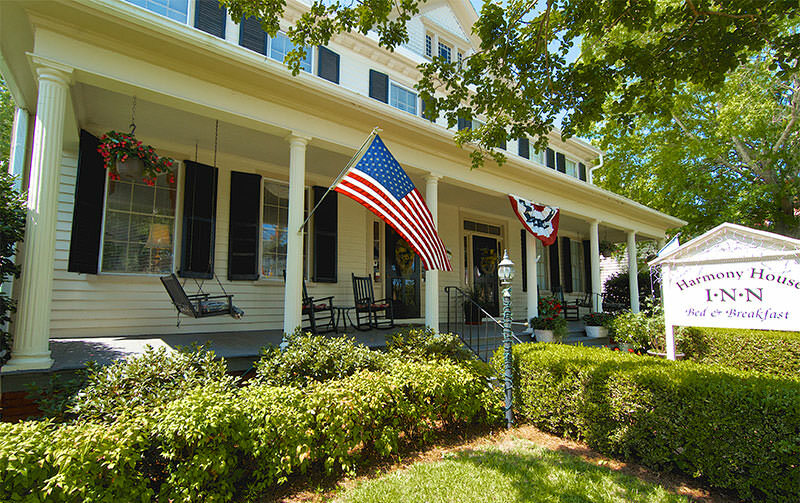 Throughout the downtown area and surrounding Tryon Palace are many historic homes and buildings that help tell the story of life in historic New Bern. They include the Dixon House, Stanly House, and the Hay House. The John Wright Stanly House (c. 1780) reflects the wealth of its owner, whose merchant ships raided British vessels to aid the American cause during the Revolutionary War. In addition is North Carolina’s first publicly-chartered school (c. 1766). 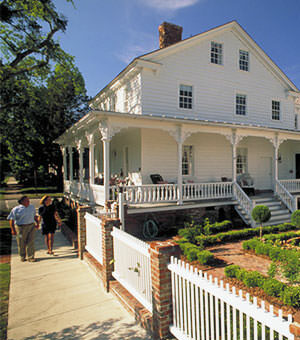 The Academy Museum interprets life in New Bern during the Federal occupation from 1862-1865. The rich history of New Bern comes to life with our tours of downtown New Bern. Take a carriage, river boat, or trolley tour, or choose from one of our Historic Heritage Walking Tours-a series of self-guided tours. Through a variety of vantage points, you’ll see New Bern’s war-ridden past, explore the architectural beauty of our homes, and immerse yourself into the charm of our Southern way of life. There is truly no better way to experience the history of New Bern. 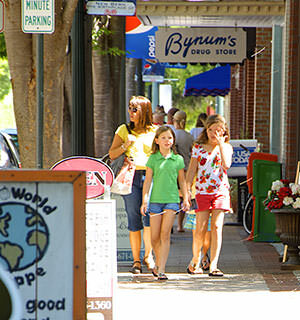 Scattered among the streets of downtown New Bern are countless shopping opportunities. Sample wine, explore art galleries and antique stores, and shop in upscale boutiques. 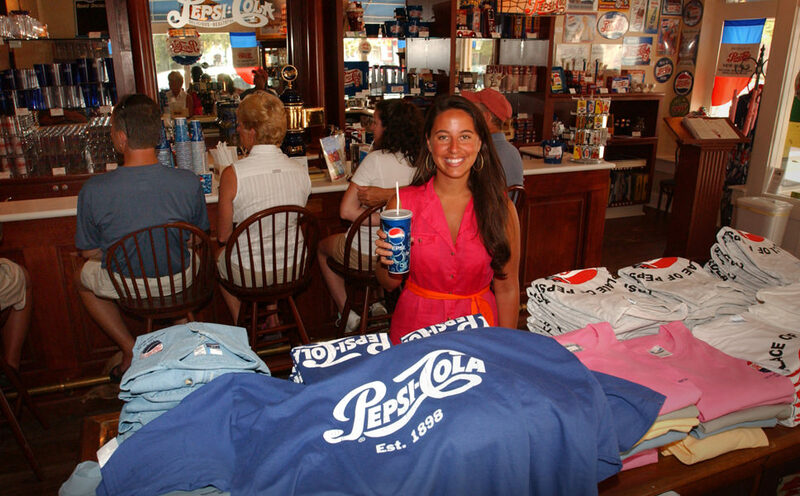 New Bern also features one-of-a-kind shops like the Pepsi store and the charming turn-of-the-century store and Mitchell Hardware. Meanwhile, those who love the outdoors can lose themselves in bike and gear shops. 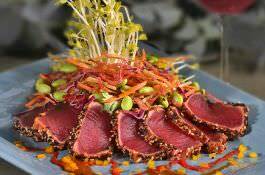 New Bern is home to world of incredible dining opportunities for anyone who enjoys a great meal. Foodies will find themselves at home with a variety of gourmet options like fine southern cuisine, locally sourced menus, and the freshest of seafood. Steakhouses, charming cafes, and local flavors are yours to explore, including Persimmons Waterfront Restaurant. A host of casual dining is also available, as well as tastes from all over the world. You’ll quickly discover there’s more than enough to delight your taste buds. 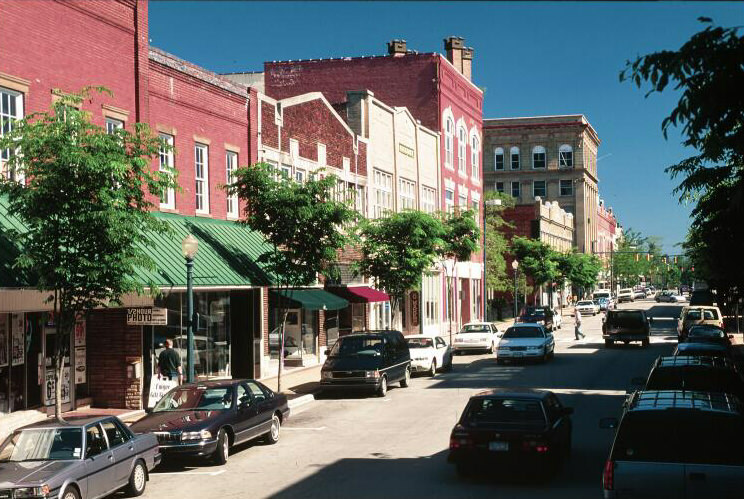 Nothing makes a trip to New Bern more enjoyable than a relaxing sightseeing tour of the historic downtown area. Take a distinct look into the vast architectural history of New Bern, where beautiful Georgian and bungalow homes, Federal-style buildings, Greek revival homes, Victorian mansions and more have been restored to maintain their original beauty. Explore the picturesque waterfront of Union Point and explore the beautifully appointed gardens of Tryon Palace. New Bern is truly breathtaking. 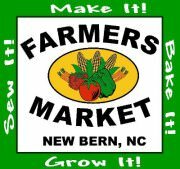 Since 1984, the New Bern Farmer’s Market has offered the freshest produce, delicious baked goods, seasonal plants, handmade crafts and jewelry, original art, and other specialty items to historic New Bern. The market is open year-round, on Saturdays from 8 a.m. to 2 p.m., and now on Tuesdays in the summer between the hours of 10 a.m. to 2 p.m. The Farmer’s Market building is also available for community gatherings and events, and it can be rented for special occasions. Kids of all ages will adore all the Pepsi Family Center has to offer. This virtual time machine takes you back to 1835, with hands-on activities that allow you to sail a ship, distill turpentine and produce naval stores, piece an electronic quilt, and help the shopkeeper find merchandise for customers in the dry goods store. With so much to do, you could spend an entire day playing a variety of roles within New Bern’s history. Founded in 1710, New Bern is the second oldest town in North Carolina. The Swiss and German settlement of New Bern was named in honor of the founder’s home, Bern, Switzerland. When Bern, Switzerland was founded, it was named by a group of hunters who named the city for the first animal they came upon on their hunting expedition:a bear. “Bern” is the old Germanic word for Bear, and the bear became the symbol of the city. It has been adopted by New Bern and is on display everywhere. New Bern is home to the first state capitol of North Carolina, Tryon Palace. New Bern was the first city in America to celebrate George Washington’s birthday. Washington visited New Bern and danced at Tryon Palace. The interior of Christ Episcopal Church was designed in the style of Christopher Wren, the famous English architect. It is a ‘must see’ for visitors.